The start of June finds the music reporters of We Love DC in far-flung quarters at the moment, as Rebecca is away at Governors Island catching up on all of the latest bands and Rachel is off actually creating new music somewhere! That leaves yours truly to present a brief concert round up for you this month. The first time I saw Cut Copy, the band performed with The Presets at the 9:30 Club in a September 2008 show that people universally remember as being really damn good. Part of the reason for the success of that show was some pretty strong material the band released earlier that year in its sophomore album, In Ghost Colors, which was all around a great album. Indeed, I’ll go so far as to hail it as one of the Very Important Albums of the past 10 years—a definitive moment in the full embrace of New Wave-inspired dance music as indie kids again were deciding that dominant synths were not only socially acceptable but completely desirable. 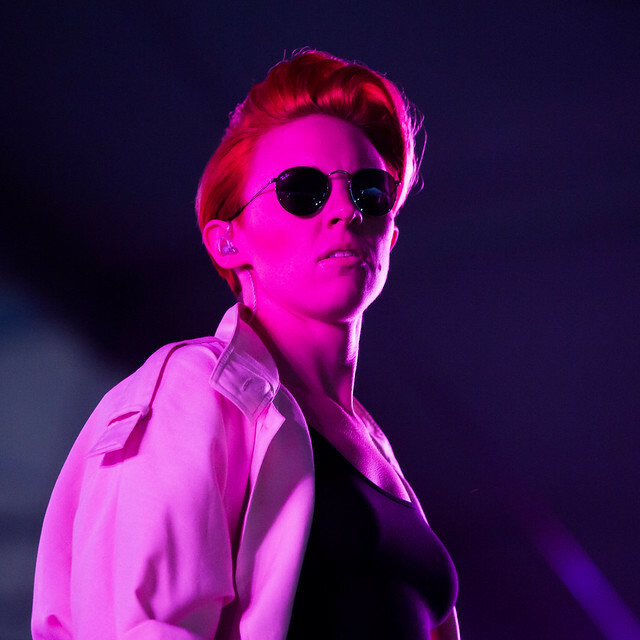 At Echostage on Thursday, March 20, the audience still gave its biggest reaction to “Hearts on Fire” and “Lights and Music” in the Cut Copy setlist, underscoring how those songs have managed to stick in the collective consciousness of the dancehall masses. Shortly after the halfway point in their show at the 9:30 Club on Saturday, White Lies played “Unfinished Business,” their very first single, which was released nearly five years ago now. 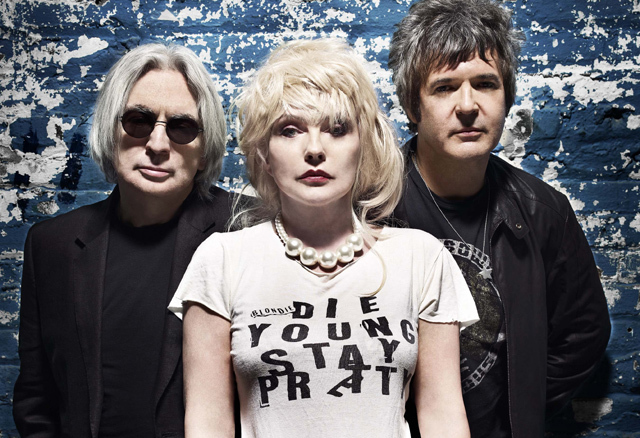 That first song serves as a blueprint for the post-punk trio, who perform as a quintet. 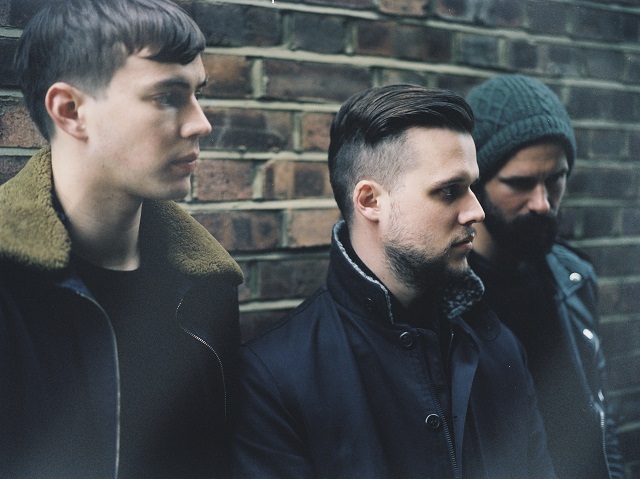 In a very real way, by sticking to their formula of uplifting melodies but darkly reflective lyrics, White Lies have grown their name recognition and their audiences in the United States tremendously on their latest tour, heralding last year’s album Big TV. 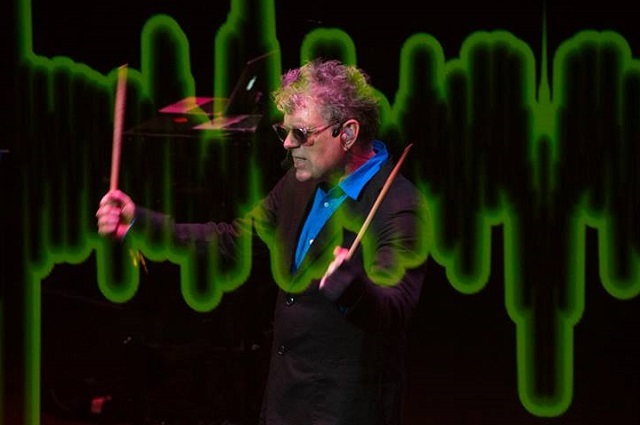 As a way to say thanks to our loyal readers, We Love DC will be giving away a pair of tickets to a concert sponsored by or held at the 9:30 Club to one lucky reader periodically. Keep your eyes open for opportunities to find out what tickets we’re giving away, and leave a comment for your chance to be the lucky winner! 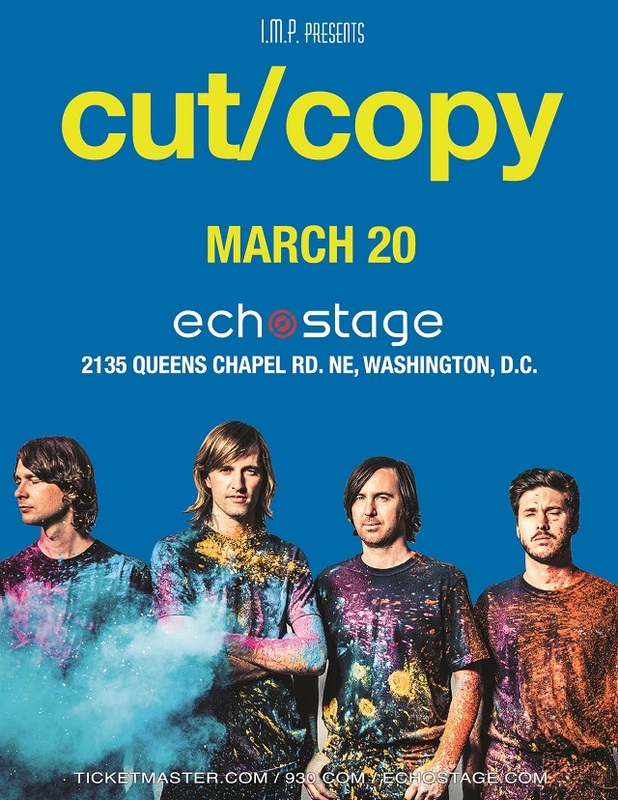 Today, we are giving away a pair of tickets to see Cut Copy at Echostage on Thursday, March 20. 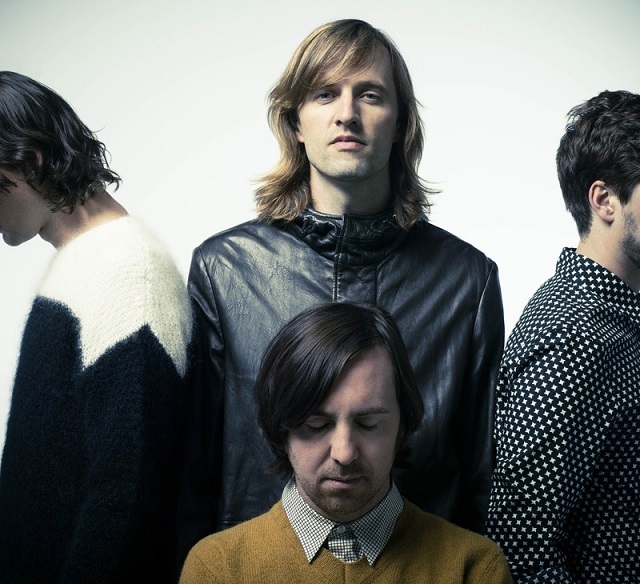 This Australian quartet became fast indie favorites after their first album, Bright Like Neon Love, and continue to win praise with their fourth and latest album, Free Your Mind, which was released in November. With their latest songs, the new wavers have become even more chilled out, but they still remain all about making catchy dance music. To my mind, Dan Whitford built upon the perfect formula when he combined his synths with Ben Browning’s bass in particular as well as guitars from Tim Hoey and drums from Mitchell Scott. While I’ve always felt while they owe a debt to New Order, they are by no means imitations, and they are well worth catching live on their latest tour. For your chance to win these tickets, simply leave a comment on this post using a valid email address between 9am and 4pm today. Feel free to leave any comment, but I encourage you to share your favorite song by Cut Copy, because I think they are great! One entry per email address, please. Tickets for this show are also available through Ticketmaster. Tickets will be available to the winner at the Echostage Guest List window one hour before doors open on the night of the concert. The tickets must be claimed with a valid ID. The winner must be old enough to attend the specific concert or must have a parent’s permission to enter if he/she is under 18 years old. The fashionable Charli XCX was perfectly at home at U Street Music Hall, backed by a talented all-girl band, as she purred and roared to a sold-out audience in the packed underground club. But U Street Music Hall was absolutely packed so full that space to breathe was difficult to find unless you were far at the back end of the hall, suggesting that Charli really ought to be in the 9:30 Club or some other larger venue next time she comes to DC! Charli’s cool visual style—in a pale dress and white leather jacket, contrasted to the short black dresses of her band—set the tone visually for a buoyant and electric show. She opened, however, with a rap song, “What I Like,” which isn’t in step with her overall darkly new wave sound. Once into the set, she really hits her stride with “Nuclear Seasons” and “Lock You Up”—both stunningly lush yet spiky pop songs that really set the tone for her album True Romance. It’s songs like these—songs of loneliness and alienation set to a powerful dance beat—that really form the foundation of True Romance, and I was absolutely thrilled to her sing them with vitality and passion. It’s been pretty darn cold these past few days but DC is expected to warm up considerably this weekend! What better way to celebrate the warmth than to get out and dance? And if you want to get out and dance, you might as well go for the gold and dance to some good synthpop. And that just happens be the theme of this month’s 80s Dance Party @ Black Whiskey, which this month presents Secret Circuits, a new recurring theme night. The affable and capable DJ Neal Keller and I were once brainstorming after he was no longer hosting events in Adams Morgan. We hatched a concept for another dance party that he could spin somewhere–and to differentiate it from the pack of other 80s parties, we thought to focus it specifically on bands like OMD, Ultravox, Erasure, Soft Cell, Heaven 17, New Order, Yazoo, the Eurythmics and others! I quite like Gary Numan — the musician and the man. His new album Splinter (Songs From a Broken Mind) undeniably shows influences of his association with Nine Inch Nails — but to be fair, Nine Inch Nails have long been admiring Numan. So it perhaps is only fair that the two musical acts would commingle. Nine Inch Nails guitarist Robin Finck played on some of Splinter’s tracks and joined him live on several recent tour dates. The influence clearly was felt in the show at the Black Cat on Sunday, Oct. 27. Numan was energetic and in good form with a strong band that handled their goth guitar pretty well. They were very tight on “Everything Comes Down to This,” a new song from Splinter, demonstrating impressive range. The song is at times sparse and ethereal and at other times full and frenetic. Numan’s voice was strong and his physical flourishes added a great deal to his performance. 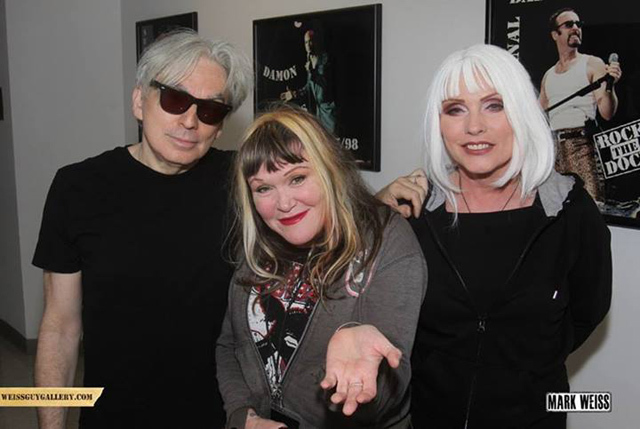 The first time I saw The Sounds, they were promoting their second album, Dying to Say This to You, with a performance at the 9:30 Club. It was April 10, 2006, and the Swedish new wavers were there with Morningwood and Action Action. It goes without saying that it was love at first listen—I was instantly hooked by the feminine but tough vocals of Maja Ivarsson and the rock star sensibilities of her bandmates. 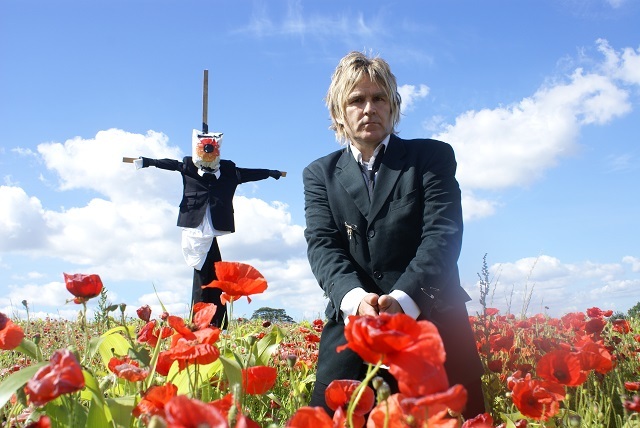 Guitarist Felix Rodriguez, bassist Johan Bengtsson, drummer Fredrik Blond and keyboardist Jesper Anderberg all are remarkable musicians—and instruments in The Sounds come together from a delightfully cohesive sound. They quickly became my favorite new band. 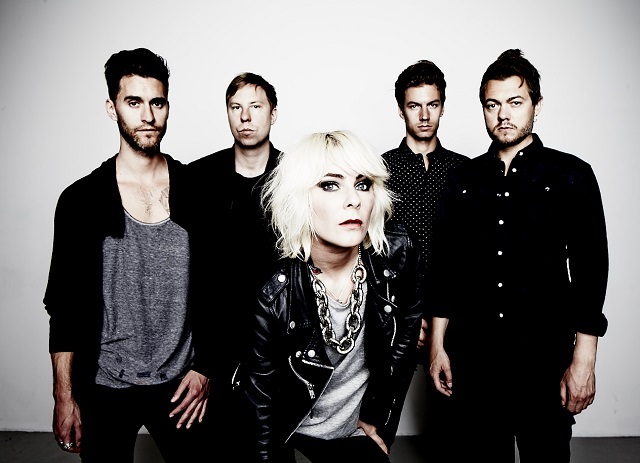 The Sounds release a new album, Weekend, on Tuesday, Oct. 29, and they leapt over to the United States to play some dates in support of their fifth LP. 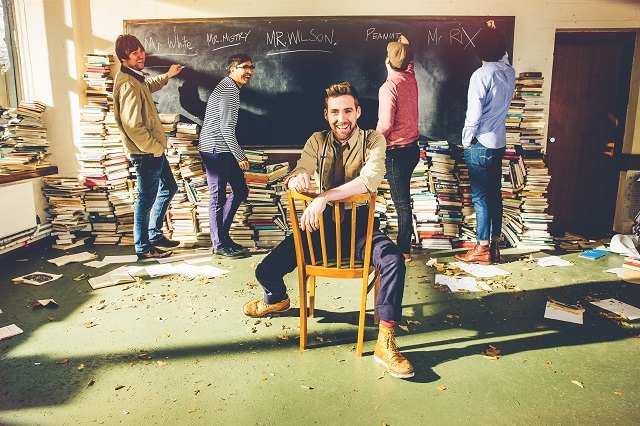 It’s an excellent mix of some of the raucous dance tunes for which the band is celebrated and some of the softer, reflective ballads that somehow still manage to surprise with their sincerity. Those who like The Sounds for their great dance numbers like “Tony the Beat” and “Dance with the Devil” will welcome the first single, “Shake Shake Shake” and the rebellious “Outlaw.” If “Night After Night” or “Dorchester Hotel” appeal to you, then you’ll likewise welcome the reflective “Hurt the Ones I Love” or the sweetness of “Weekend” (thematically a reflective and forward-looking companion and counterpart to the Pet Shop Boy’s more immediate “Thursday).